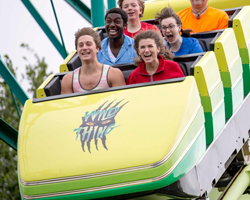 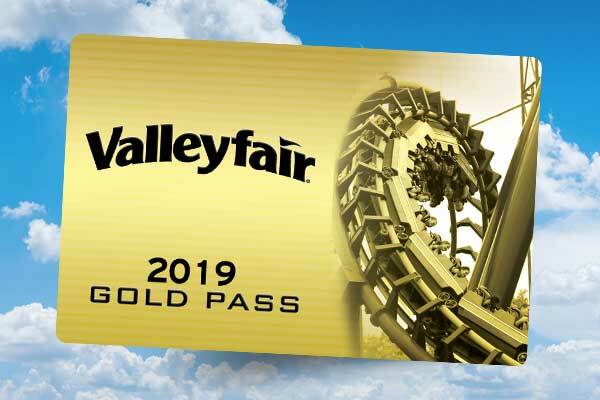 Get unlimited visits in 2019 with a Season Pass. 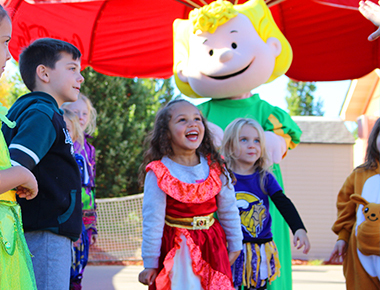 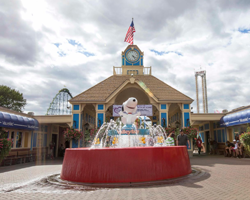 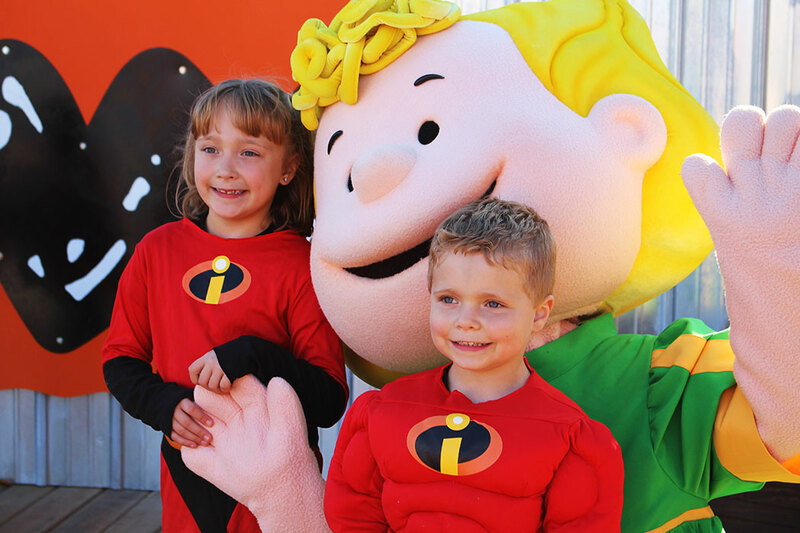 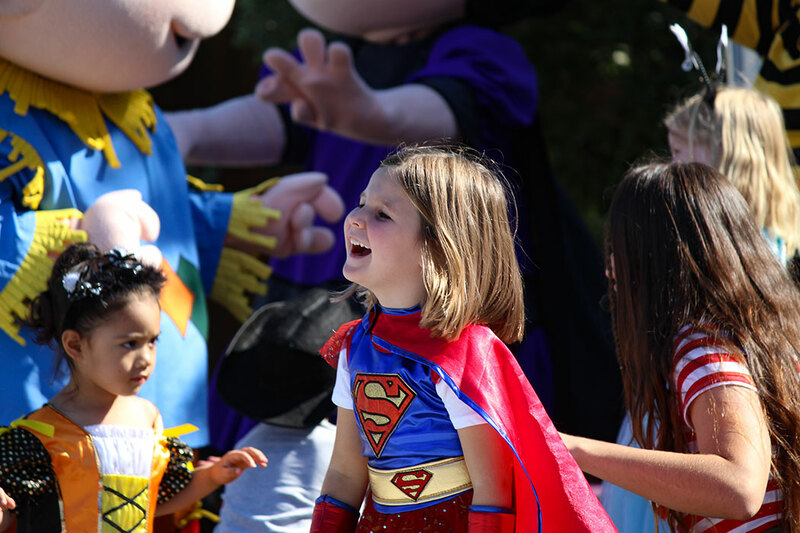 During the day, tiny terrors can join Snoopy and the rest of the PEANUTS gang for some not-so-scary Halloween activities for kids at The Great Pumpkin Fest! 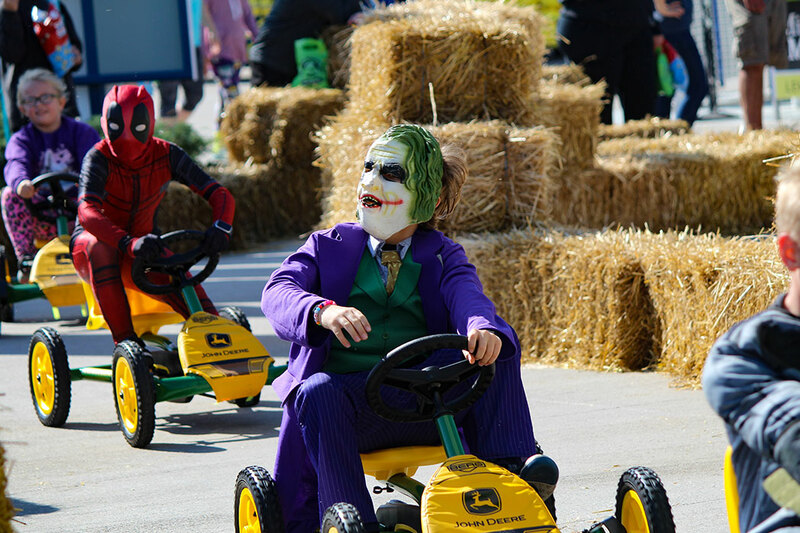 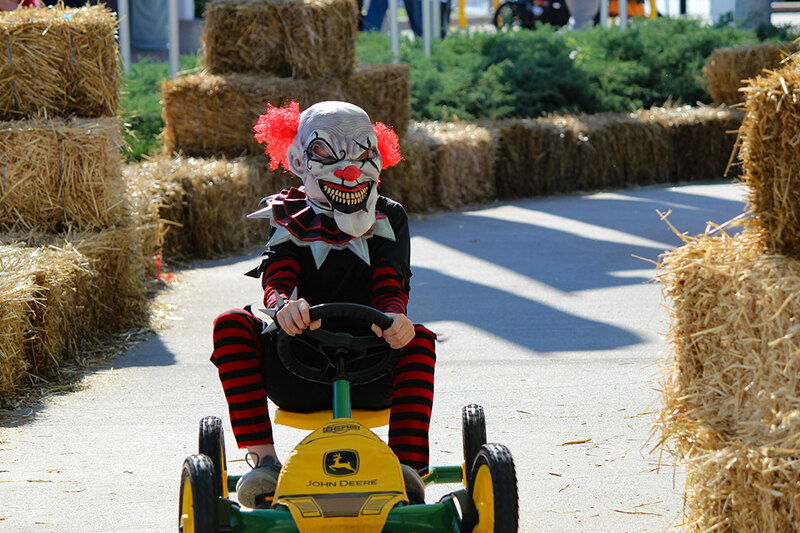 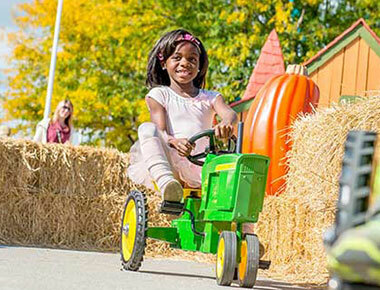 Enjoy your favorite rides, live entertainment and great fall activities at The Great Pumpkin Fest. 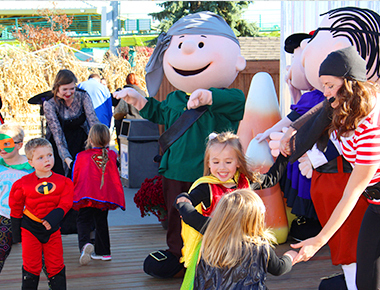 We’ve got music, dancing, and fun events all throughout the Great Pumpkin Fest! 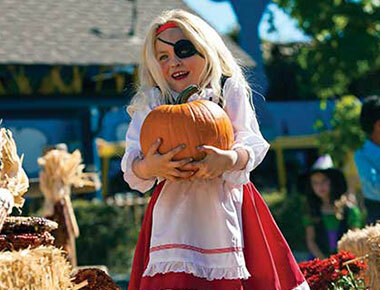 Show off your best dance moves or challenge your friends to a limbo contest at The Pirate Party. 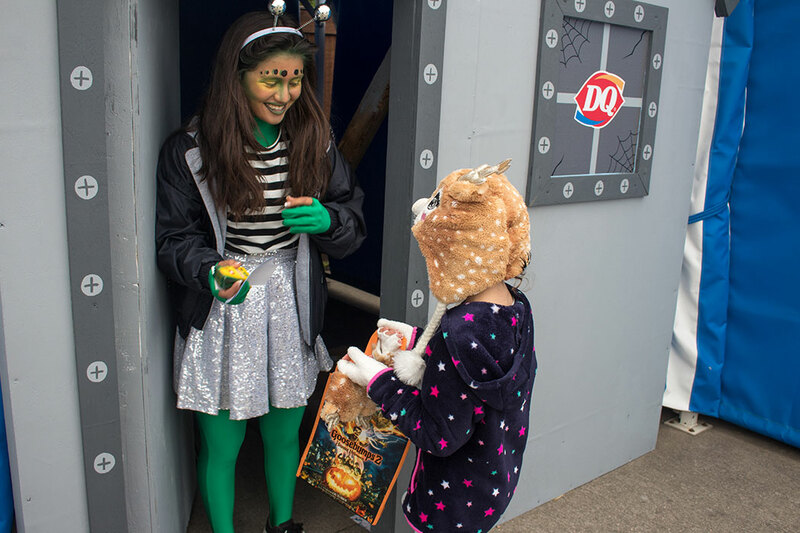 Travel down our Trick or Treat Street and pick up some Halloween goodies. 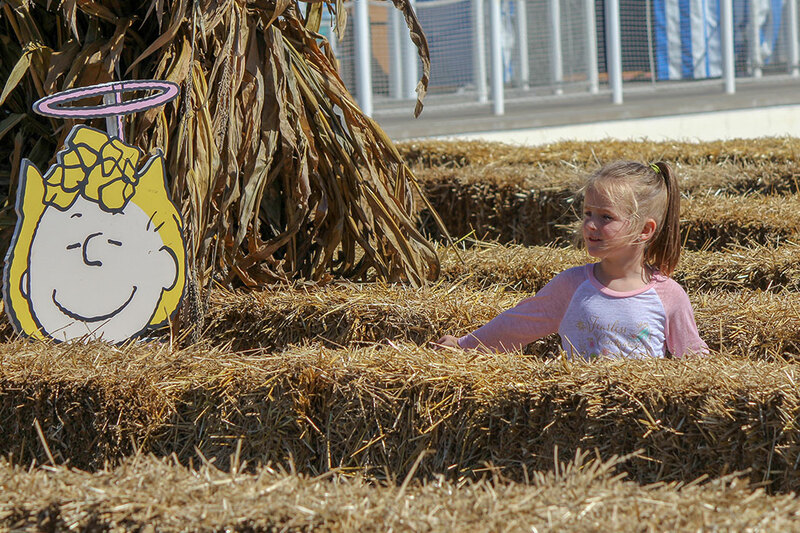 Zigzag your way through a twisting path of hay bales and cornstalks in this PEANUTS-themed maze. 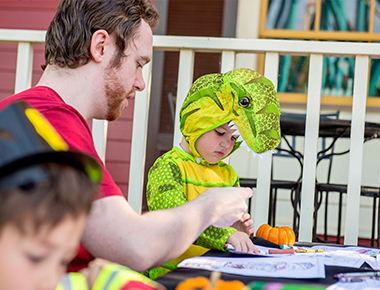 From pumpkin painting and coloring to Great Pumpkin letter-writing, display your creative side with our Halloween arts & crafts. 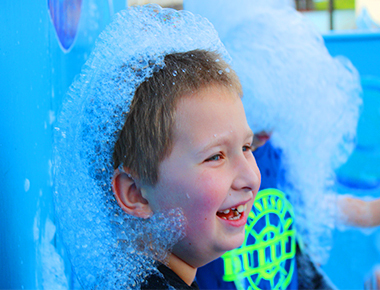 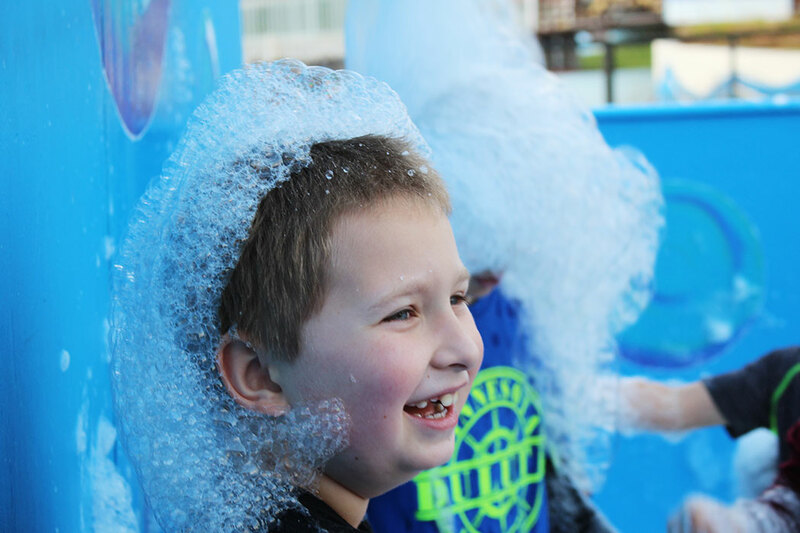 It’s good clean fun for the little ones in our brand new foam machine. 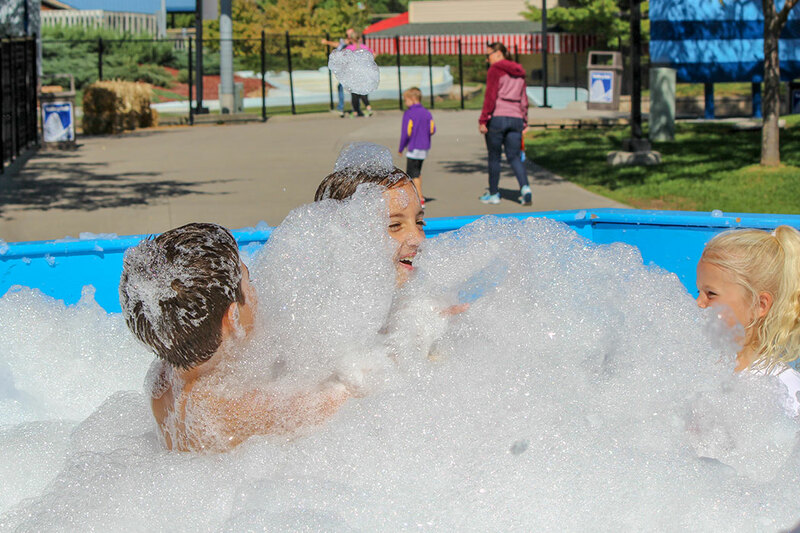 It’s like a bubble bath but no water required. 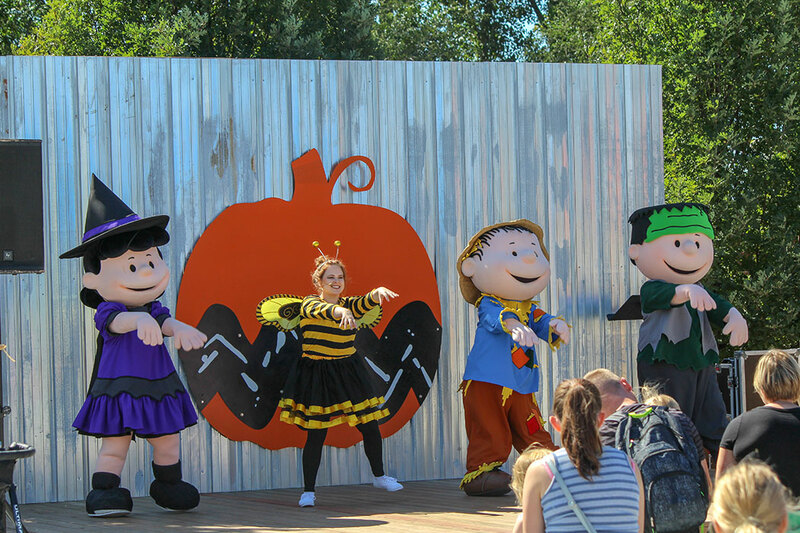 Join Sally and JT for a spooky and silly dancing time where your little one can be the star of the show! 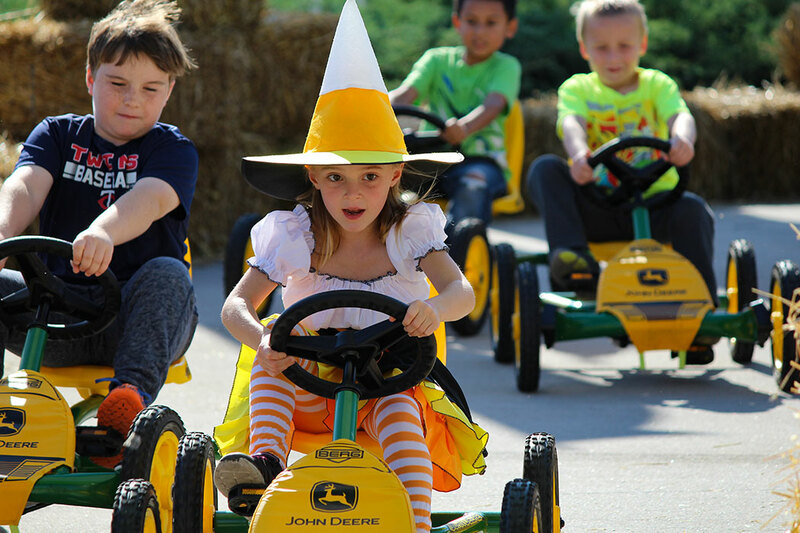 Kids can race through this family-friendly hay bale maze on miniature pedal tractors. 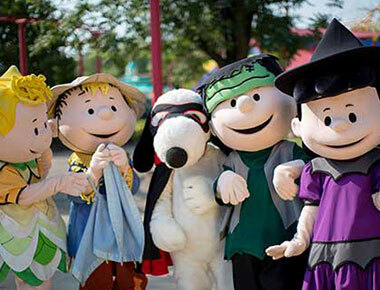 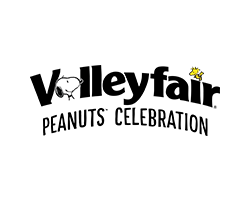 Join Charlie Brown, Lucy, and Linus for a Halloween Spooktacular musical adventure! 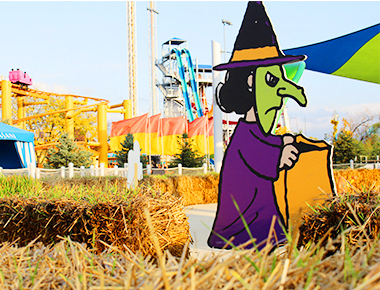 You will discover the creepy, the kooky, the mysterious and the spooky during this family-friendly show. 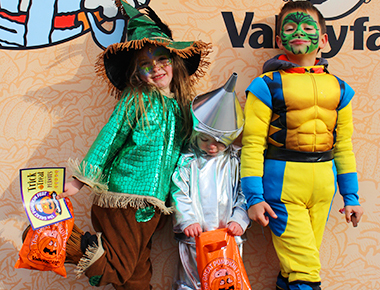 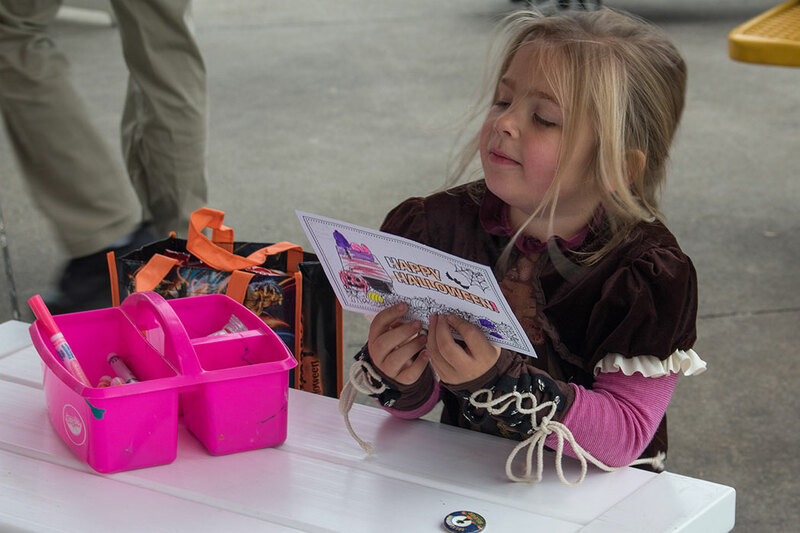 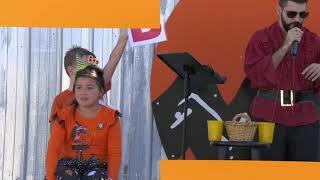 Our smaller ghouls and goblins are invited to show off their costume creations in the Great Pumpkin Parade.